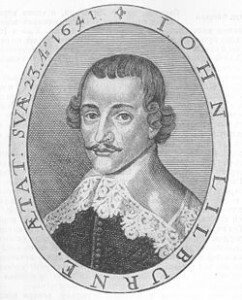 In 1637, John Lilburne was accused with the crime of shipping seditious books into England from Holland. Forced to appear in the now-infamous Court of Star Chamber — so-named because of the stars painted on the roof of the room in which its proceedings were held — Lilburne refused to swear the “oath ex officio.” That refusal was intimately related to the ultimate abolition of the Court of Star Chamber by the English Parliament in 1641 and to the development of one of the most important modern legal rights, the right against self-incrimination. Derived from ecclesiastical Courts of Inquisition, the oath ex officio compelled an individual to answer all questions put to him truthfully, and was typically administered to those about to be accused of a crime but before being advised of the nature and scope of the charges. Because it was complete in scope, requiring a truthful answer to any question, it became a convenient mechanism for forcing self-incriminating testimony, and was increasingly abused by the Court of Star Chamber as its proceedings became ever more secret and politically oppressive. Like so many of the men and women who prompted the development of rights that we (perhaps too complacently) now take for granted, Lilburne was, by all accounts, an argumentative and combative man. One of his contemporaries commented that “if John Lilburn were the last man in the world, John would fight with Lilburne, and Lilburne would fight with John.” But this characteristic of steadfast defiance was instrumental in effecting the ultimate abolition of the Court. After several appearances in which he refused to swear the oath, Lilburn was sentenced to a fine of £500, punishment in the pillory, and imprisonment until he acquiesced. He was whipped more than 200 times in the street on his way to the pillory, where he harangued the gathering crowds that no one should be forced to accuse himself of a crime. During the time of his imprisonment, which included at least one four-month period of solitary confinement, he wrote nine pamphlets. As part of these efforts to compel him to swear the oath — without even yet addressing his alleged crime of importing seditious books — Lilburne spent nearly three years imprisoned. It was only finally when the Long Parliament met near the end of 1640 and was inspired by a speech delivered by Oliver Cromwell that action was taken to release victims of the Court of Star Chamber’s oppression, including Lilburne. That right was implicated in a case in Colorado this week that is interesting because of its involvement of modern electronics technology. The Fifth Amendment right is being asserted by Ramona Fricosu, who was indicted in 2010 on charges arising from allegedly fraudulent real-estate transactions. As part of its investigation, the government seized, under warrant, six computers from her home, one of which is a laptop whose contents are encrypted. Suspecting that the encrypted contents contain information relevant to its investigation and likely to be incriminating, the government has sought to compel Fricosu to type her password into the laptop so that the contents can be read. She has refused. This week, the U.S. District Court for the District of Colorado ordered that Fricosu supply an unencrypted copy of the contents of her laptop to the government by February 21, 2012, presumably by typing her password into the device. A copy of the order can be read here. If Fricosu continues to refuse, she may be punished for contempt of the court’s order. 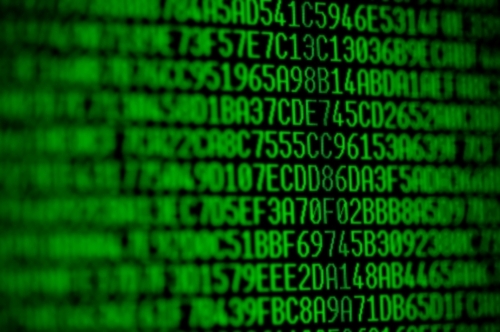 There is no doubt that modern digital encryption techniques have an important and legitimate function. 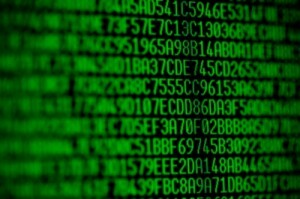 The very existence of electronic commerce depends fundamentally on the use of such techniques, and there have been increasing recommendations issued by electronic-security professionals to routinely encrypt the content of electronic devices as a precaution against loss or theft. Sensitive personal and business information is now commonly stored on such devices, and encryption is the only effective mechanism for preventing unauthorized access to the information. Fricosu’s case is, in some ways, a difficult one. This is not an instance in which the government has an inchoate suspicion that there is something incriminating on the laptop, but rather one in which there is sufficient evidence to support the probable cause for issuing a warrant. It is therefore easy to understand the court’s order and to have sympathy with the desire by police simply to read what they have legitimately seized as part of their investigation into a crime that defrauded others. But at the same time, I have considerable discomfort with the order precisely because of the Fifth Amendment implications. It is a mistake to view this case purely through the procedural lens of the Fourth Amendment and to be satisfied that the police have complied with all warrant requirements. History has taught us of the dangers of vesting the state with the power to compel self-incrimination by individuals. The potential for oppression is sufficiently great that free societies have determined that it is better not to vest the state with that power. There may be some cases in which the burden on the government to prove guilt is greater, and some even in which guilty persons are not convicted because the burden is too great to satisfy. But this is the cost we have agreed to pay for maintaining a barrier against abuses that we have recognized as being too seductive to governments in the past.